Photo courtesy Long Wharf Theatre. The first time Jacob Padrón realized theater could pave the way to social justice, he was an 8-year-old kid at a worker's rights theater, watching his mom dance from the audience. The second time, he was almost enrolled in school for social work, and took a detour that led to the stage. Now, he is hoping to bring that same spark to New Haven, and change things up at one of the city's oldest institutions. After a months-long search for a new leader, Long Wharf Theatre announced Thursday that it has selected 38-year-old Padrón as its next Artistic Director, a decision the theater's Board of Trustees approved unanimously earlier this week. Over 160 people applied for the position, according to a press release sent late Thursday morning. Before making the decision, Long Wharf worked closely with Bruce Thibodeau and Boston-based Arts Consulting Group. 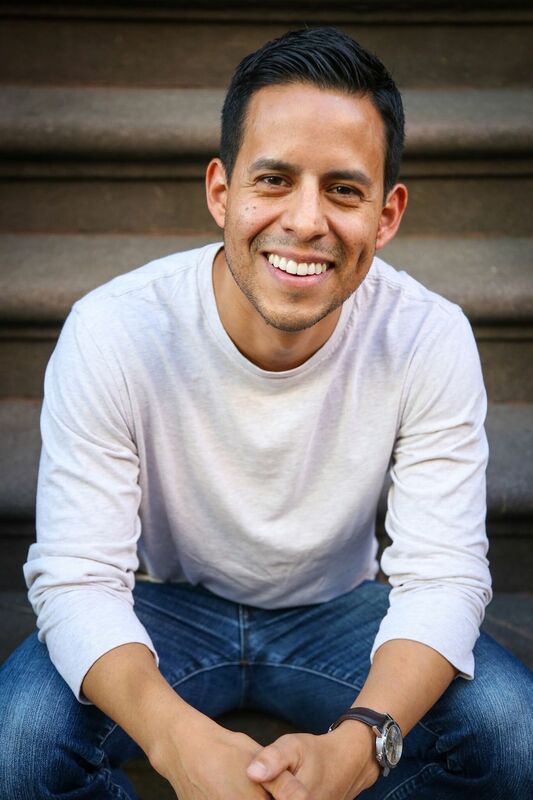 A 2008 graduate of the Yale School of Drama, Padrón is currently the founder and artistic director of The Sol Project, an initiative founded in 2016 to amplify the voices of Latinx playwrights around the country (earlier this year, the Sol Project collaborated with the Yale Repertory Theatre on Charise Castro Smith’s El Huracán, which ran through Oct. 20). After meeting with board members and staff this week, he begins the position officially in February. Padrón’s appointment comes months after Long Wharf Theatre’s firing of its longtime Artistic Director Gordon Edelstein following allegations of sexual misconduct in the workplace. In the months that followed, the theater brought in attorney Penny Mason to conduct an independent review of policies and procedures, the results of which were released in June. The appointment of a new artistic director marks a palpable shift for the organization, which announced a renewed commitment to equity, diversity and inclusion, collaboration, and "how we build community” earlier this year. In Thursday's release, Board Chair Laura Pappano praised Padrón as “the future of American theatre,” noting his lifelong commitment to social justice in the arts. A focus on topical, socially-oriented theater and lifting up playwrights of color has long defined and inspired Padrón's work. As a kid growing up in Gilroy, Calif.—he jokes about its place as the garlic capital of the world, because he is allergic to garlic—he was raised on El Teatro Campensino, a theater troupe founded in 1965 by the United Farm Workers in nearby Delano, Calif. From an early age, the group's radical history was second nature to him, with names like Luis Valdez, Dolores Huerta and César Chávez more intimately familiar than Shakespeare and Sophocles. By the time he was eight, he was attending (and sometimes taking part in) performances with his mother, aunts and uncles, confident that he had found his calling. From those first experiences in California, Padrón sculpted a career dedicated to culture as a catalyst for social change. After graduating from Loyola Marymount University in Los Angeles in 2003, he served with the Jesuit Volunteer Corps, working with North Carolinians with HIV and AIDS. After his time in North Carolina, Padrón applied to graduate programs in social work, with the intention of becoming a counselor. He got in, picking a program in Baltimore that seemed right. But before attending, he deferred admission for a theater internship at Baltimore Center Stage in education and community programs. He never looked back. Since, he said, his work has been "about how do I find the intersection of my social work passion and my passion for storytelling. And that's what I've tried to do in the last 10 years." In addition to The Sol Project, Padrón has worked at The Public Theater in New York City, Steppenwolf Theatre in Chicago and the Oregon Shakespeare Festival. He has championed works by artists of color: Hilary Bettis’ Alligator, Martín Zimmerman’s Seven Spots on the Sun, Luis Alfaro’s Oedipus El Rey and Smith’s El Huracán at The Sol Project as well as works by Tarell Alvin McCraney, Ike Holter, Janine Nabers and others at The Public and Steppenwolf. And he has been vocal about the need to identify communities not as monolithic, but as kaleidoscopic, splitting into hundreds of bright fractals. In New Haven, he said he hopes to deepen that commitment, while also honoring Long Wharf's history of premiering "bold new American plays" on its two stages. He said he is particularly excited to put vibrant, new work by artists of color in conversation with classic plays, and bring more new and varied voices into the theater. To that end, he said he will continue to lead with The Sol Project, while taking on Long Wharf full time and exploring the possibility of new collaboration between the two. "If we are to be relevant, if we are to continue to have vibrancy, the American theater has to respond to the changing landscape," he said. "The American theater has a promise to deliver on, which is that it can—it can—be the space to hold all our stories. But we are the architects of fulfilling that promise." "Maybe we haven't been such great architects of that," he continued. "That the stories have been pretty homogenous. And so I am excited to bring to Long Wharf a kaleidoscope. That we have artists of color who feel like Long Wharf is their artistic home ... and to do all of that work with a dynamic staff that cares deeply." He added that his first six- to twelve-month priority at Long Wharf will be listening—to staff, to actors, and to the New Haven community. Having lived in the city as a Yalie, he said he knows how insular New Haven can be, and hopes to break down those barriers. While his first priority will be listening to staff, he said that he wants to reach out to neighborhood groups, and learn what New Haven wants from Long Wharf before making any assumptions. "The work of being in community is sort of baked into my bones," he said. "I'm excited to embark on that journey, and to actually begin to activate a lifelong dialogue with the city of New Haven about—how can the stage be a place that holds the stories of this particular city?" "I think that it can always be a little dangerous when you kind of parachute in, and think you know what the community needs," he added. "The community has to tell you what it needs. And so that's what I'm excited about."